Women working in construction are more likely to smoke and binge drink, while unemployed women are at a higher risk of marijuana use, according to a US study. 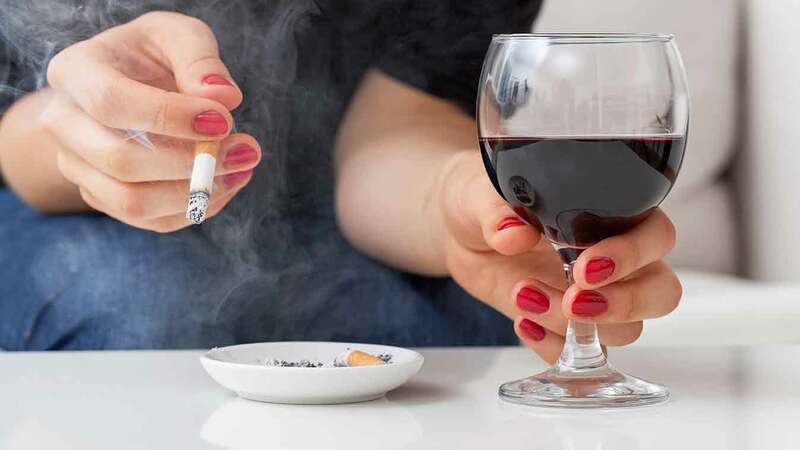 Both categories of women were found to be at higher risk for polysubstance use, prompting the authors to conclude: “Additional research is needed to explicate how labour force participation influences women’s substance use”. Cunradi CB et al. “Binge drinking, smoking, and marijuana use: the role of women’s labor force participation”. Journal of Workplace Behavioral Health, vol. 29, issue 3, 2014. Just over 10% of doctors in a French study were highly addicted to work and a further 35% were mildly addicted to their jobs, according to a survey of 44 physicians. Medical professors had the highest scores when a Work Addiction Risk Test was applied, and many of those classified as “workaholic” also experienced high job demands. The authors conclude that their study highlights the importance of constraints on workload, together with improvements in working conditions and organisational structures, as means to address the issue of “background work addiction”. Rezvani A et al. “Workaholism: are physicians at risk?” Occupational Medicine, first published online 14 July 2014. The performance of strenuous emergency duties by young firefighters is strongly associated with an increased risk of sudden cardiac death (SCD), according to US research. The US Fire Administration recorded 205 on-duty SCDs among firefighters under the age of 45 between 1996 and 2012. An increased risk of SCD was associated with physical training, fire suppression and responding to alarms, compared with non-emergency duties. The relative risk was greatest among firefighters with a pre-existing history of a cardiac condition. Farioli A et al. “Duty-related risk of sudden cardiac death among young US firefighters”. 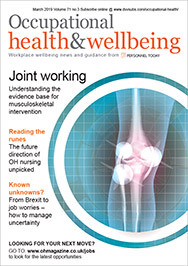 Occupational Medicine, first published online 7 August 2014. Human parovirus B19 (B19V) infection during early pregnancy increases the risk of miscarriage and studies have consistently shown an elevated risk of infection among women working with children. A study finds B19V infections were more common among daycare workers than those employed in healthcare generally, prompting the authors to recommend specific preventive measures. Sallmen M et al. “Increased risk of human parovirus B19 infection in day-care employees: a cohort study among pregnant workers during an epidemic in Finland”. Occupational & Environmental Medicine, first published online 29 July 2014. Short-term changes in outdoor air temperature, particularly cooling, are associated with an increased risk of occupational injuries, a study of Italian workers suggests. For example, a 1°C decrease in temperature below -0.8°C corresponded to a 2.4% increase in outdoor occupational injuries. Morabito M et al. “Air temperature exposure and outdoor occupational injuries: a significant cold effect in Central Italy”. Occupational & Environmental Medicine, first published online 30 July 2014. Low job satisfaction is significantly related to the presence of carpal tunnel syndrome (CTS), research using a biopsychosocial model suggests. Other factors associated with CTS identified by the analysis are: occupational repetition, lack of vigorous exercise, physical activity involving risk strain and poor physical health. The study also reported that obesity was borderline significantly related to CTS. Goodson JT et al. “Occupational and biopsychosocial risk factors for carpal tunnel syndrome”. Journal of Occupational & Environmental Medicine, first published online 18 July 2014. Excessive daytime sleepiness (EDS) is an important contributor to lower productivity and poorer mental health in the workplace, Australian research finds. In a sample of 707 workers, 16% reported EDS, which was most common among older workers, those with higher body mass indices, poor diet and mental health. The authors suggest that workplace health programmes aimed at improving diet and body weight may also help alleviate EDS. Liviya Ng W et al. “The prevalence and characteristics associated with excessive daytime sleepiness among Australian workers”. Journal of Occupational & Environmental Medicine, first published online 18 July 2014. Hairdressers have “little intrinsic motivation to adopt a health and safety approach” and creating it is “no easy feat”, according to a European study of the profession. The report shows that a great deal of effort has been made by countries to target hairdressers, particularly in the area of information and awareness-raising around the issue of skin health. The report calls for health and safety training to be better integrated into the broader training of hairdressers, and for training to be practically oriented using real-life problems: “this will lead to reflection and it is only via this reflection that students will make effective changes to the way they work in the future”, the report concludes. A close shave Transitional ESF project, July 2014.